Home / Breach Of Contract / Entertainment / news / StoneBwoy / Zylofon Music / Zylofon Music To Sue Stonebwoy For Breach Of Contract? Zylofon Music record label has admitted that its problem with reggae and dancehall artist, Stonebwoy still exist. 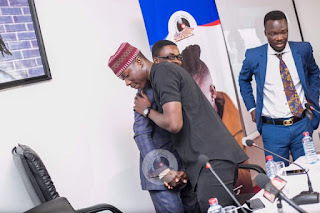 PRO for Zylofon Music, Arnold Asamoah-Baidoo in a conversation with Sammy Forson reiterated that the BHiM Nation boss is still with Zylofon Music. He again added that a notice the company published on March 13 and 23 telling all who need the artiste’s services to contact them still holds despite Stonebwoy saying otherwise on Hitz FM days back.